We have said it before and we will say it again. The Gran Prix of Gloucester is our favorite race in New England. 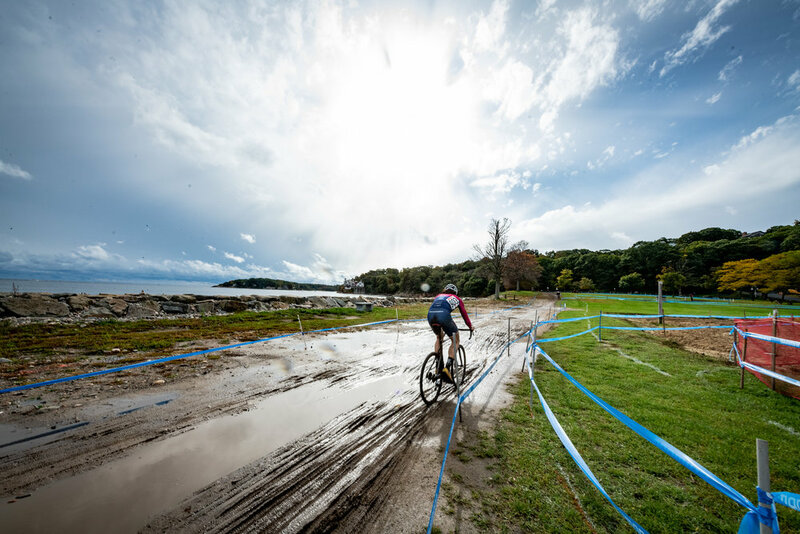 While visiting Northamption is like making a pilgrimage to the “holy land” of American cyclocross and NBX is a sandy capstone to the season, there’s something special about Gloucester. Maybe it’s the huge fields of freakishly strong NECX racers, stunning scenery, large crowds and variable weather. Or perhaps it’s the big, spectator-packed beer tent parked over the main off-camber and stair sections of the course. Or maybe it’s the white wooden houses dotting the seaside and the proximity to incredible lobster dinners. Whatever it is, we’re in love. The main requirement for participating in this year’s race for TBD members was simple: You had to have a thick mustache. Thus Stephen Rousseau and I embarked up the Northeast corridor for Stage Fort Park. 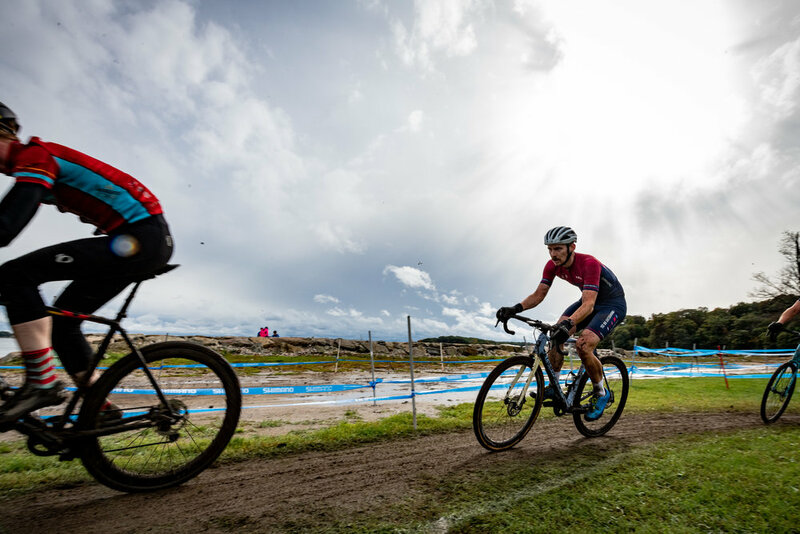 Day-one featured an infrequent occurrence at the GP of Gloucester — mud, lots of it. The coastal dust-bowl conditions for which Gloucester is famous were neutralized by heavy showers before and during race day; and by the end of the first Saturday races the entire course was greasy from tape-to-tape. So much for those file-treads I’d been planning to use. My race went well through the first few laps. Despite starting 9th row I’d made my way into the top 20 by lap three, skirted through the early-race bottlenecks, and was in prime position to continue moving up. Then I made a dumb shift into the big ring at the wrong time, dropped my chain, had the damnedest time getting it back on. That was pretty much the race for me. Steve, however, continued his outstanding run of form with a fine performance—finishing just outside of the top 10 and only a minute-and-a-half back from the winner despite a slow start. On day two the conditions improved dramatically—yielding to cooler temperatures but clear skies, dry dirt and fast conditions. How did the race go? No idea—my wife and I had brought our 5-month-old baby to Gloucester; and by Sunday morning he was communicating that we needed to leave early—so we did. 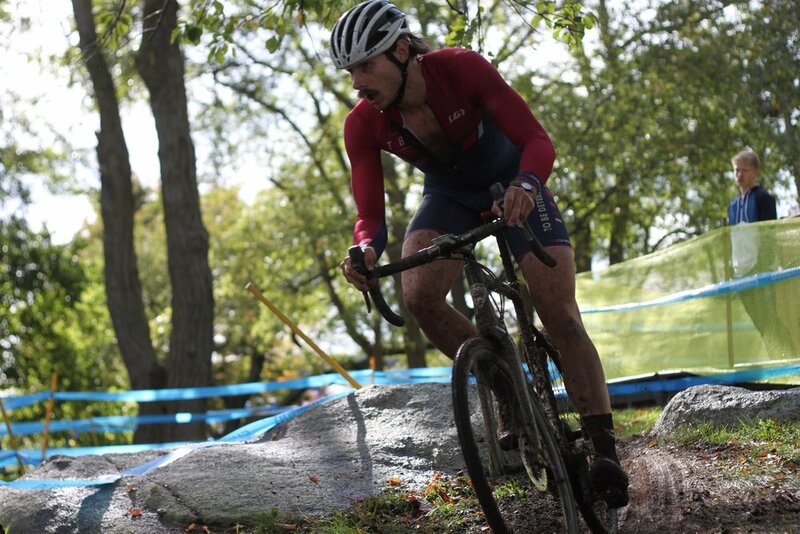 But Steve again raced, and again had a great performance on the bike, finishing 14th with the main pack of chasers — capping off a terrific weekend in New England.